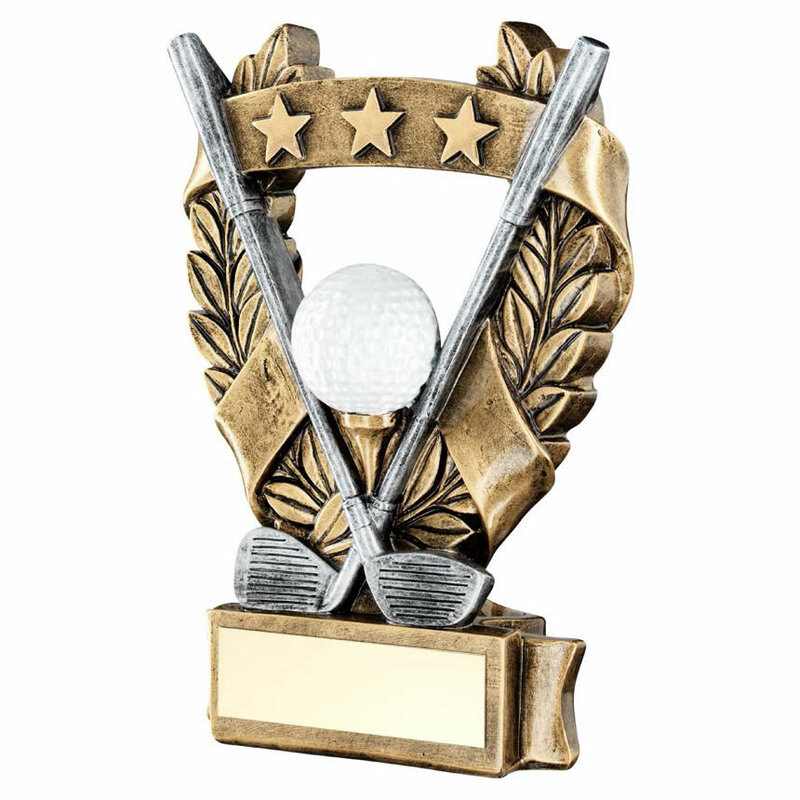 Stylish golf trophy crafted in resin with antique bronze colour finish and gold and silver colour highlights. Suitable for a wide range of golfing achievements and recipients, these versatile trophies feature a laurel wreath garland with star studded ribbon and two crossed golf clubs along with a golf ball. They are set on a base with engraving plate and are available in three size options.